It’s that time again! 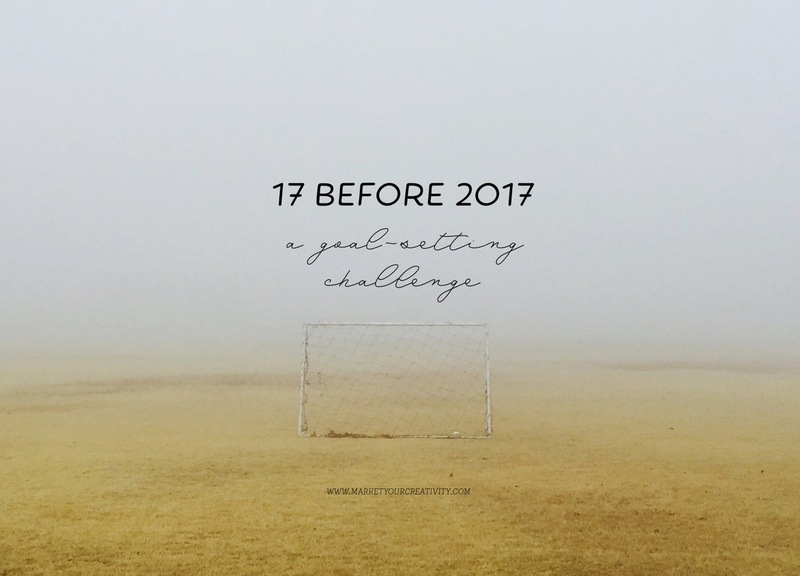 Today I’m listing 17 goals I want to complete before 2017, and I’m challenging YOU to play along. You have until the end of 2016 to complete all 17 goals on your list. Consider what you need to clear out of the way before you can really get to work on next year’s big goals. What unfinished business needs attended to so you can end this year with a clean slate? Which projects need more research, or simply let go of, so you can make room for more of what you want to enter your life? What or whom do you need to say “no” to right now? Which people, activities and events do you want to be present for with the rest of 2016? What would have to happen in this last quarter to make 2016 feel like an absolute success? #1 Move house. If you would have told me last year that I’d be moving house, family, and dog in the fall of 2016, I’d have called you crazy. As in, that’s crazy — I’d never move during my busiest + most successful season of the year. There are way too many deadlines! I’m so sure I’ll be in the same spot next fall, I already booked a week-long family vacation right smack-dab in the middle of October to celebrate the launch of Your Best Year 2017! But, it’s true and crazy. I’ve spent the last two months, not only writing my best-selling product of the year, but also prepping my house for sale, selling it in less than 3 days on the market, panicking over where in the world we were going to live next, and finally buying a new house we all love. Now it’s just time to move to that house. #2 Launch Your Best Year 2017. I can’t stop smiling about this year’s edition. Your Best Year 2016 was such a giant success, I thought I might simply change the dates and reproduce it. I wondered, how much better can it get? With 10,000+ raving fans behind it, I could have absolutely left it “as is” and that would have been well enough. However, I found more success this year than ever before. I tripled my email list and quadrupled my income. I shattered limitations that had been keeping me stuck for years. I knew this book was destined to evolve just as my career had. Therefore, the reason for not changing anything about the book became the challenge: How much better can it get? In the image above, you’re getting your first look at the new cover. Hold onto your hats. This is going to be your best year yet. #3 Go to conference. 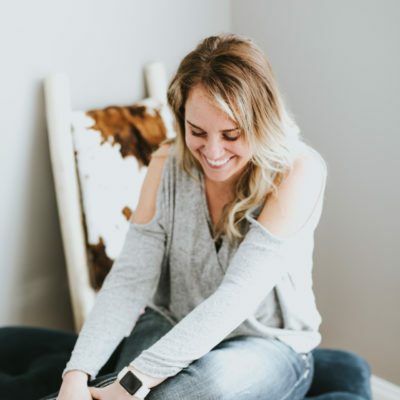 I am headed to North Carolina to learn business legalities from my girl, Christina Scalera + other amazing topics from creative women at the School of Styling. I’m going to escape the moving mayhem just before we pack out and savor a quiet three days to myself. What a treat! #4 Make vacation memories with my six. Do you know those still pictures of people in motion, where all you see is a blur of the person? That’s how my life has felt for most of the year EXCEPT when I’m away with my family and we’re sitting together or being with each other while enjoying the same experience. I can hardly wait to be present in those moments with them during our long-awaited Disney cruise (an income reward I earned last year). #5 Settle down. I’ve already written this as the headlining advice for November. The year’s pace has been so rapid, I’m as wound up as they come. Can you tell through my writing? I feel like I’m running down a steep hill and my feet are never exactly underneath me. I think that’s been all well and necessary, but oh my goodness. It’s time to change the incline and take back control of the pace. When you’re working with your hire, it’s nice to be able to sit down and knock out a bunch of issues and instruction all at once. Jennie and I video chat, but the screen gets in the way and takes up extra time. It’s nice that she and I are somewhat local to each other, and I can invite her over. I even shopped my new home office space with that in mind. I’m going to plan and conduct our first meet-up using this question as the guide: How can every one hour of training take at least four hours off my plate each month? The results will be phenomenal, I’m sure. #7 Hire an accountant. I can hardly wait to get my books off my plate! #8 Decorate my new home. I tend to put this off when I first move into a new house, which leaves me wondering why I’m living in such an undecorated house years later. I’ve already bought the paint and picked out most of the new furniture. I can hardly wait to make our gorgeous new house a comfortable home for my family. #9 Schedule monthly dates. My husband and I have so much fun trying new foods and enjoying a relaxing evening together, and now we have a whole new neighborhood to explore. I look forward to reestablishing this routine once we’re settled. #10 Schedule whitespace. I want my job and my life to feel fun again! It’s been such a push this year. I want to spend an afternoon shooting photos for Instagram, meet up with some other creatives in my new area, and take a day to bake with my daughters. #11 Be on track to sell 200,000 copies of Your Best Year 2017. It’s a big goal because I believe this book is going to help online entrepreneurs all over the world reach their goals. And it’s a no-brainer investment! I took my six-figure earning strategies and packaged them into a revolutionary business planning system anybody can use. #12 Enjoy my annual wrapping day! This is my favorite to share because, each year, more and more readers adopt this tradition. It’s so fun! I block my schedule for a day in December when the children are in school. I play Christmas movies and music all day, drink wine and eat delicious breads and cheeses for lunch, pull all of the presents out of hiding and just wrap! It’s one of my favorite days of the whole year. #13 Have dinner delivered at least once a week. I live in such a rural area, I haven’t had food delivered to me in my home for over three years. No such service exists, and it takes almost an hour to drive to any restaurant and back. #14 Try Botox. Because I’m not as comfortable with wrinkles as I thought I would be, and so I don’t see why not. #15 Build a fiction library of books to read. For my birthday, I asked for a bunch of good books on my wish list to read for leisure. I then proceeded to read through them all in a few short weeks. I love having a good fiction book by my bedside, but I don’t trust many recommendations. I’m going to put in the time and research required to gather a collection I can’t wait to read. #16 Post to Instagram on a regular basis. I really love sharing and connecting on Instagram. Unfortunately when my schedule gets busy, it’s the first thing that gets moved to the back burner. #17 Decorate my next home office. In the new house, it’s at the front of the home right next to the front door. I love it, and my last home office has been so good to me, I can only imagine what I’ll create there. Share Your 17 Before 2017! Hashtag it #17before2017 on social – or – leave a link to your blog post in the comments. I would love to read your goals! 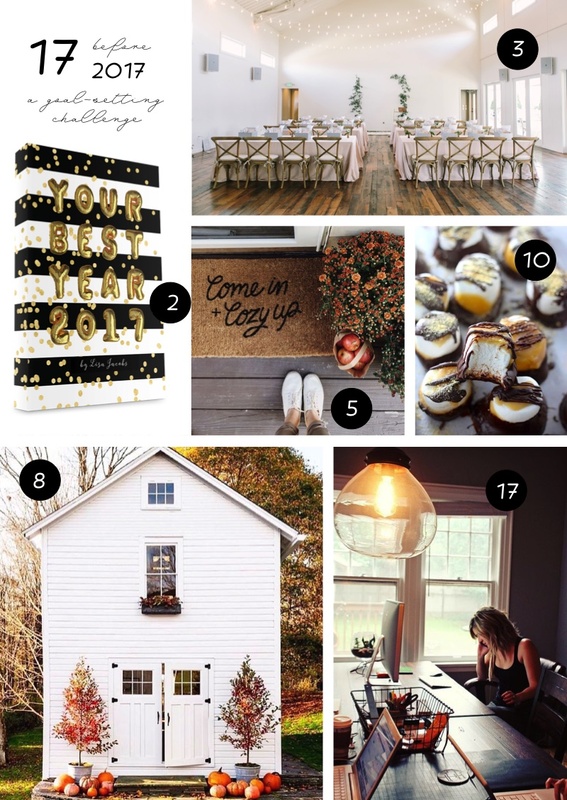 For even more example goals, be sure to check out Kara’s 17 Before 2017 over on Boho Berry as well. And if you’re not already, get on my email list … Your Best Year 2017 is coming, and it’s going to help you produce the results you’ve been dreaming of. 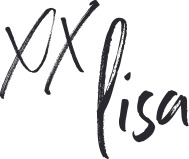 Be on my list to receive private training, introductory offers, and exclusive bonuses. This years challenge. Post mine in the next week. Thank you, Catherine! I’d love to read your goals if you choose to share them. Best of luck at your show! Best of luck on your list, Anja! I do not recall you having any wrinkles love. Great idea!! I’ll start working on mine now. Hi Lisa, if you’re near Chapel Hill/ Carrboro/ Durham when you come to NC, you are more than welcome to come and choose some of my clay sculptures for your new home ? Have fun! And congrats! I cannot wait to buy the new book. Thanks for all these wonderful tips ? I’m absolutely in that area. Unfortunately for my new home decor, my days are going to be extremely full but thank you for the tempting offer! Thank you so much for sharing your inspiring list and for innovating this wonderful challenge! I am a new follower of your content, and I learn something great every time I visit Marketing Creativity. I’m really excited to start plugging away at my #17before2017 and owe all of my motivation to you. So looking forward to Your Best Year 2017! Here’s a link to my 17 before 2017 http://bizzie-body.com/17-before-2017/. I just finished setting mine. I love settling into a new home. Enjoy it! Your list has inspired me to create my own — for the new year. Best wishes to you in 2017!